MUU FOR EARS 10 is the tenth CD in MUU’s series of sound art publications. It consists of soundtracks which were originally produced for Finnish video artworks. As in the cinema, the soundtracks of videos are a crucial element for the telling of the story. 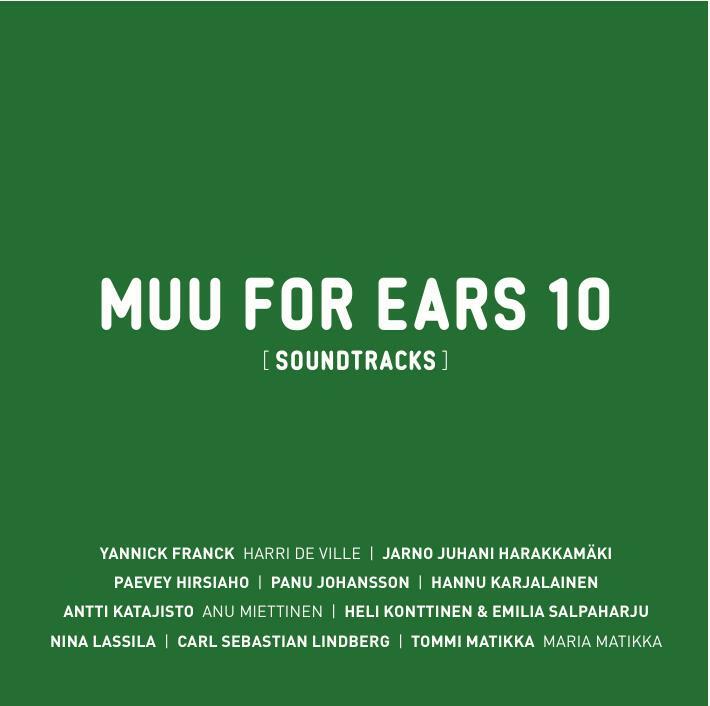 Compiled exclusively of soundtracks, MUU FOR EARS 10 emphasizes the fact that sounds can tell even more than images. The CD contains a wide range of material, such as an echoing dark and distant melody, humming sounds and random noises, found footage-based sounds and poems, samples and field recordings, industrial and digitally generated music. Please watch these videos with your ears. The CD is released at the Art Fair Suomi event in the Cable Factory, Helsinki, Finland, 13–16 September 2012.